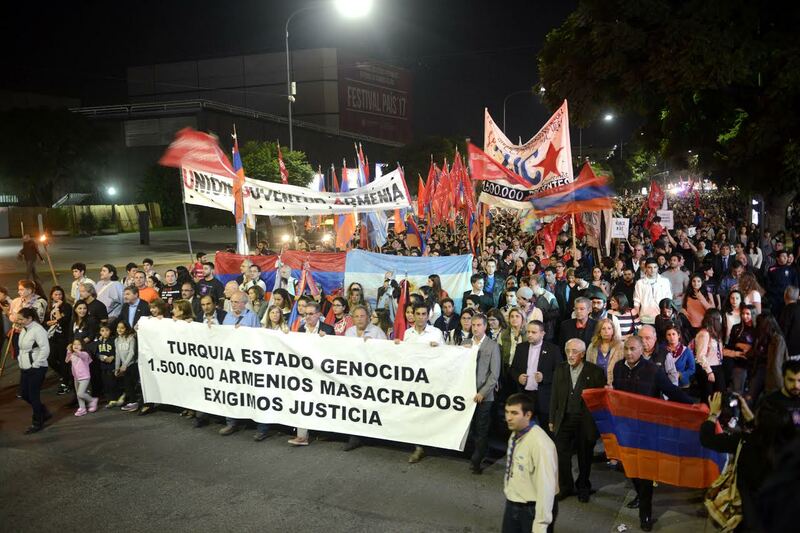 During the night of Monday, April 24, the 102° anniversary of the Armenian Genocide was marked with a rally and an act in front of the residence of the Turkish Ambassador in Buenos Aires, Argentina, and a rally in Cordoba province early that day. "More than 100 years later, the Turkish state continues to run with impunity, implementing a negationist plan as a state policy," said the statement of the Armenian community's youth organizations that was read during the demonstration. 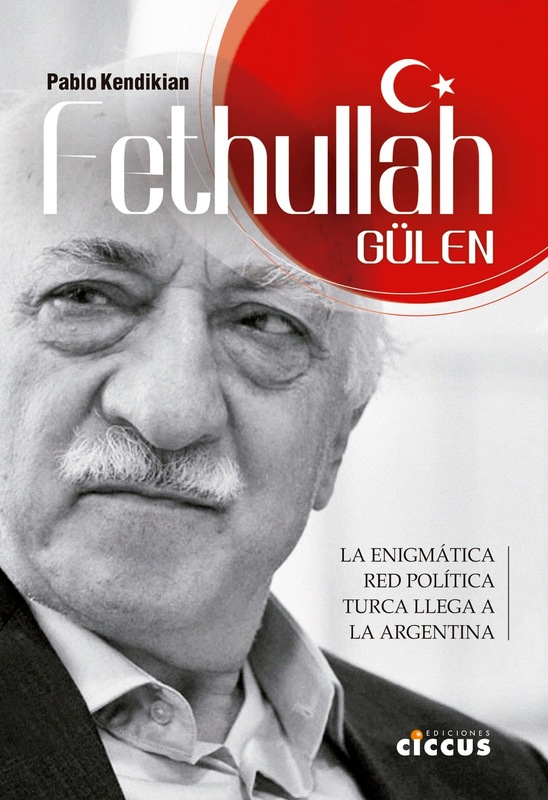 "Unlike countries like Turkey and Azerbaijan, Argentina is a pioneer in the world in the field of human rights." The Vice President of argentina, Gabriela Michetti, participated in a mass before the central act with the presence of the Secretary of Human Rights and Cultural Pluralism, Claudio Avruj, who showed his "deep support to the community" on the "102 years of the Armenian Genocide." "Remembering the Armenian Genocide today helps us to never let this type of atrocities happen again in the history of humanity," said Gabriela Michetti. "Our message is against this Embassy that represents a genocidal and negationist state that does not change and that continues to sharpen its position as an intolerant and authoritarian state," said Garo Seferian, president of the Armenian Youth Federation of South America, one of the organizers of the rally. 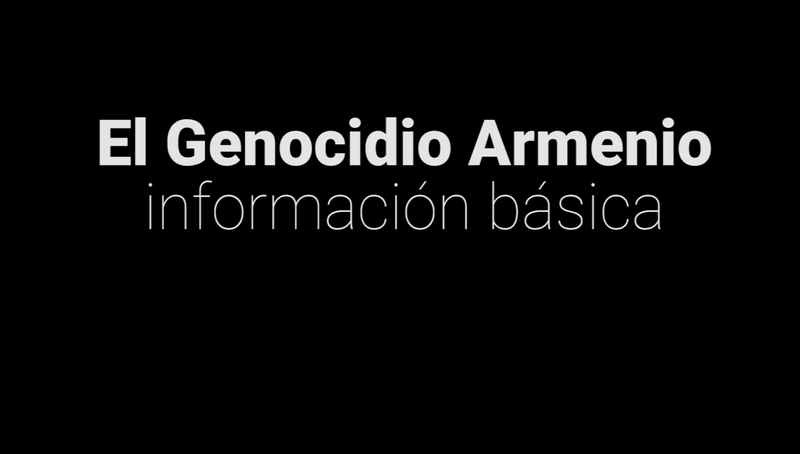 Guillermo Ferraioli, Directive of the Armenian National Committee of South America, told Agencia Prensa Armenia that "the victims and their descendants, Armenia and the community institutions of their diaspora, all deserve public recognition, apology and reparation. In Turkey, as in Armenia, there must be museums and spaces for memory dedicated to the Armenian Genocide." During the plenary session of the Parlasur, in Montevideo, the Deputies paid homage for the 102 of the tragedy. 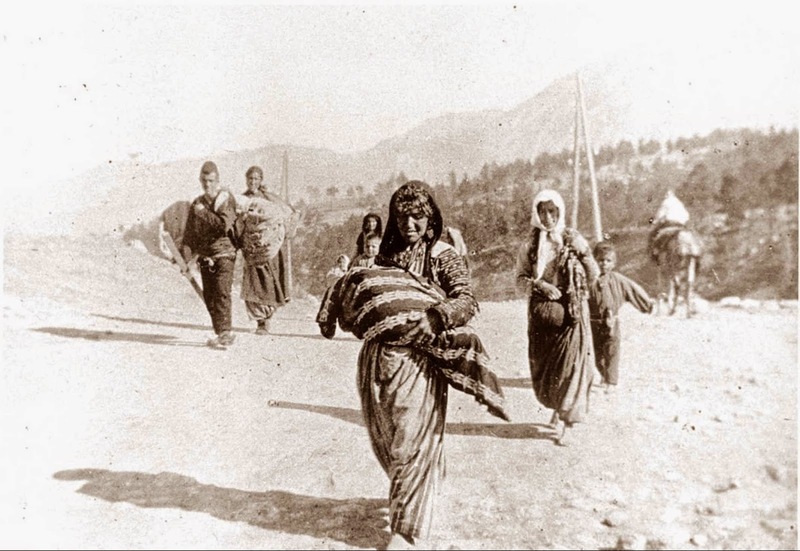 "The Armenian people do not forget and neither do I. That genocide was painful, so much so that it continues to hit us today in our feelings," said Deputy Alberto Asseff during the session. "Memory and tolerance among peoples, do not forget," said the Vice President of Parlasur, Jorge Taiana, in his Twitter account. Different regional legislatures in Argentina commemorated and adhered to the acts by the Armenian Genocide like Chaco, Buenos Aires and the City of Buenos Aires at national level, added to La Plata, Vicente Lopez and Mar del Plata, with acts and rallies in Cordoba and Rosario. Deputy Brenda Austin, speaker of the event in Cordoba, expressed her wish that the Armenian people "once and for all, find the peace granted by justice. I warmly hope that the Armenian people will find in their lands peace To inhabit them, in Armenia and Karabakh." In Uruguay there was an important march on Friday, April 21, in front of the Intendance of Montevideo, and on Monday 24, President Tabare Vazquez joined the commemoration of the Armenian Genocide during the opening of the Council of Ministers.